The Model 117 Weather Guard Aluminum Saddle Box is designed to fit all full size pickup trucks with 8 foot beds. 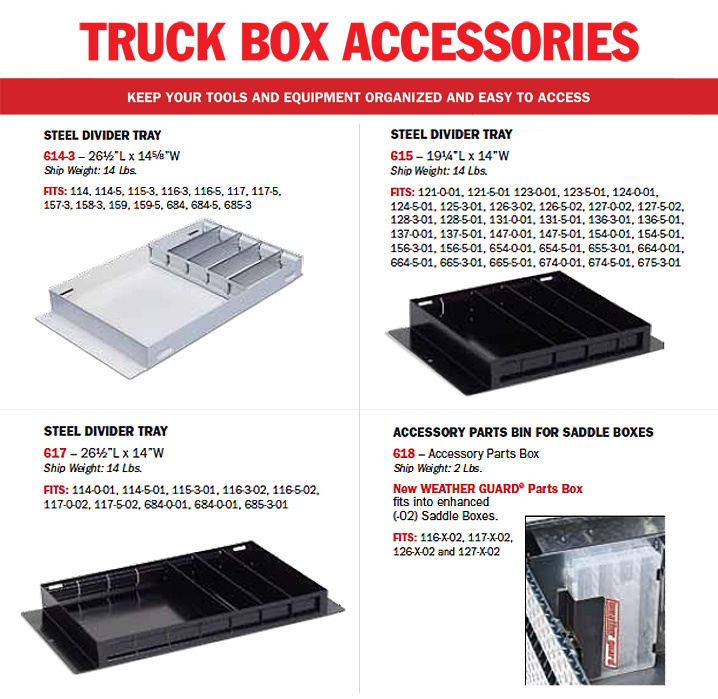 This unit also fits Chevy Silverado, GMC Sierra and Dodge Ram 6' beds, as well as the Ford F-150 with 6 1/2' beds. 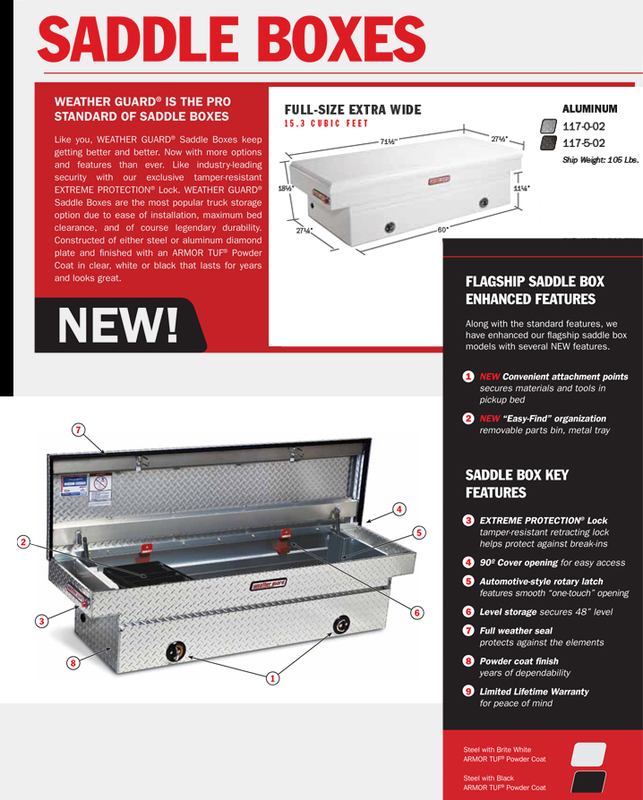 This Weather Guard Aluminum Saddle Box includes 15.3 cubic feet of storage, a 12 Volt electrical access, an Extreme Protection™ Lock and a powder coated steel divider tray. Dimensions: H: 18 1/2" W: 27 1/2" L: 71 1/2"